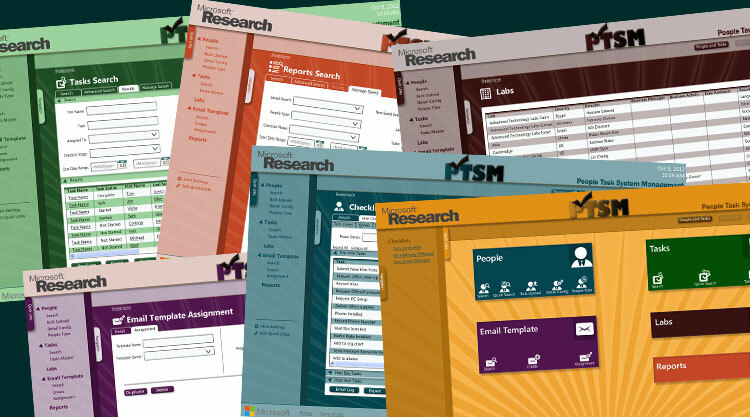 Microsoft Research: Screens for SharePoint application designed for Microsoft Research. This is a comp created in Photoshop based on collaboration with development team and Enterprise Business Analyst. I was the Designer. State of California Legislative Data Center: Screens for Silverlight application designed to track bills in the Legislature for the State of California. This is a comp created in Photoshop, then translated to XAML based on collaboration with the development team and Managers. I was the Designer and Front End Developer. Hewlett Packard: Screens for Customer Service application designed for Hewlett Packard / Digital China. This is a comp created in Photoshop based on requirements and collaboration with Managers and Directors. I was the Designer and worked with the Front End Developer to create and apply the CSS. Wisconsin Physician Services: Screens from website updated for Wisconsin Physician Services. These are screen grabs from the site that was redesigned based on recommendations from Foresee and collaboration with the Medicare Management Team. I was the Designer and Developer (HTML and CSS). Bioclinica: Screens from the SharePoint application designed for Bioclinica. This is a comp created in Photoshop, then translated to CSS and ASPX based on collaboration with Managers and the end client. I was the Designer and Front End Developer (CSS, ASPX and SharePoint).